THE stage is set for traditional rivals, Hawthorn and Geelong to make history in the inaugural Victorian Football League (VFL) Women’s Grand Final. The Hawks and Cats have been even all season on the ladder and will get to show what they’re made of in the first game played at Marvel Stadium. Despite her side’s loss, Richelle Cranston was the leading disposal-getter on the ground with 25 touches as well as three marks and five tackles. Madeline Keryk wasn’t far off though with one goal, 24 disposals and nine tackles in another great game in the blue and white hoops. Kate Darby and Mia-Rae Clifford also got on the scoreboard with one major each. Darby gathered 12 disposals, three marks and eight tackles while Clifford was kept quiet with six disposals. Mackie has been outstanding this season and has managed to find her form from the start of the year in the last couple of weeks. Last time she faced the Cats, she racked up 20 disposals and five tackles, then followed this up with three goals, 18 disposals and four tackles in the qualifying final against the Pies. Crocket-Grills is an interesting situation, playing against the team that she has recently been recruited to in the AFL Women’s. An agile midfielder, Crockett-Grills can burst the game open with her speed and footy smarts. Against the Pies two weeks ago, she gathered 10 disposals and laid five tackles. Rebecca Beeson has been one of Hawthorn’s most consistent players throughout the season, playing roles in both the forward line and in the midfield. Lately, she has been in the midfield and has made a huge impact. She was dominant against Geelong in Round 16 where she gathered 22 disposals, five marks, six tackles and kicked two goals. Dillon has strung together a couple of good games in the lead-up to this match. She arguably played her best game of the season against Collingwood in week one of the finals, as she gathered 20 disposals, two marks and four tackles to go along with her major. Against Geelong in the home and away season, she was again one of the star players for the Hawks with one goal, 17 disposals, three marks and eight tackles. Jayde Van Dyk well and truly deserved the VFLW Rising Star award after a breakout season in the brown and gold. Van Dyk was a lock in the backline each week and shut down her opponents extremely well. Her agile frame also allowed her to get involved in the contest with great run and carry. She got heavily involved against the Cats in Round 16 where she racked up 18 disposals, took four marks and laid five tackles. The Eastern Ranges midfielder has only played a handful of games for the Hawks, but they have all been of a high quality. Cann is an inside bull who tackles hard and runs hard in and out of stoppages. She’s one who can turn a game on its head with her explosive impact. Cann was the leading disposal-getter on the ground against Collingwood with 21 disposals, three marks and eight tackles. Maddie Boyd’s aerial ability is really going to trouble the Hawks. Her contested and uncontested marking has been superb this season and has played a big part in getting the Cats to Marvel Stadium on Sunday. Against the Pies, she kicked two goals and took seven marks. Last time she faced the Hawks, she gathered 11 disposals and took five marks. Mia-Rae Clifford’s move into the forward line has been a revelation, as she has kicked 15 goals from 16 games. 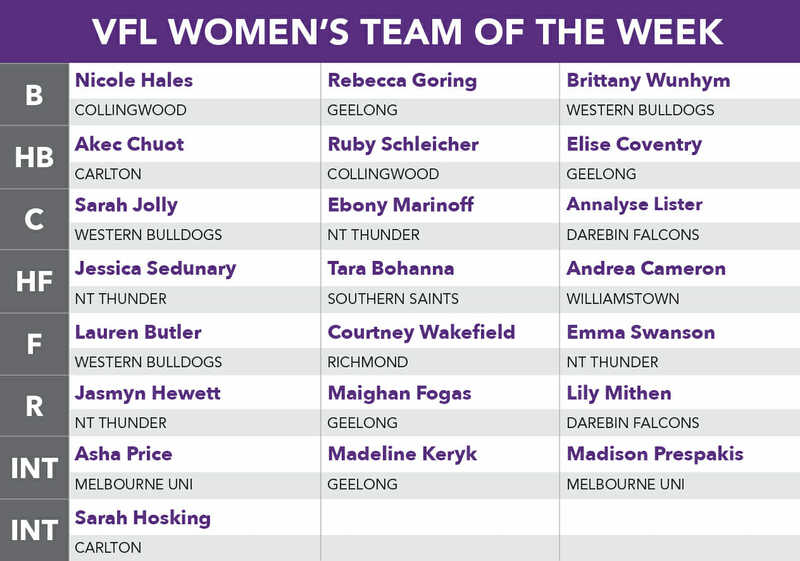 Clifford also made the VFLW Team of the Year thanks to her consistency with the ball in hand. She didn’t kick a goal against the Pies last week, so she would come into this game hungry for a couple of majors. Clifford still managed to rack up 11 disposals and lay six tackles in the fierce contest. Olivia Purcell comes into this game with a chance to win her second premiership this season. She has rightfully earned her spot in the team with some great inside work and ferocity around the contest. This was highlighted last week when she laid 14 tackles against the Pies, not giving their midfielders an inch of space. Against the Northern Territory (NT), she got plenty of the ball, racking up 19 disposals and kicking a goal. Purcell’s premiership teammate, Nina Morrison is in the same situation as her, vying for her second premiership this season. There’s not much Morrison hasn’t won this season, winning both the AFL Women’s Under 18 Championships Most Valuable Player (MVP) and the TAC Cup Girls Best and Fairest alongside Madison Prespakis. Morrison missed last week’s game against the Pies after she was named best-on-ground in the Cats’ win over NT. In that game, she gathered 18 disposals and laid seven tackles. She is a key inclusion in this match. Richelle Cranston will be a worrying prospect for Hawthorn with her strength around the contest. Cranston has the tenacity to bullock through packs and win the hard ball to get it out of congestion, which has played a big part in Geelong’s success this year. Her finals campaign has been outstanding with two goals, 19 disposals, five marks and six tackles against the NT. Against Collingwood, she racked up 15 disposals and laid seven tackles. Madeline Keryk gets better as each week goes on, dominating the midfield with her tenacity and footy smarts. Keryk hits the packs hard and her kicking and handballing is precise. She is a ball magnet and has demonstrated this in her last two games. Against the Thunder, Keryk gathered 16 disposals and laid nine tackles. She bettered this when she faced the Pies, with 24 disposals and four tackles. These two teams have been evenly poised throughout the season, with both teams always in contention for the premiership flag. Both have knocked off minor premiers, Collingwood, and Geelong has had the added bonus of knocking out the NT. Hawthorn comes into this game off a break, giving a chance for players such as Olivia Flanagan to return from injury and slot back into the side. Geelong has kept it simple in the lead-up to the Grand Final, bringing in star draft prospect, Nina Morrison to impose her outside run on the Hawks’ midfield. The midfield will be littered with Under 18 Victorian representatives, with Morrison, Olivia Purcell, Mikala Cann and Emerson Woods to all play a role on the day. Experienced players, Rebecca Beeson and Emma Mackie could go up against Richelle Cranston and Rosie Dillon in what should be an enthralling battle. In the 50s, Geelong captain, Rebecca Goring could see eye-to-eye with Adelaide Crows forward, Sarah Perkins while Jayde Van Dyk could match up on Mia-Rae Clifford. It’s also a match-up of two of the best coaches, with Patrick Hill and Paul Hood matching up tactics against tactics. Geelong coach, Hood believes his side can get revenge on the Hawks after an improvement of form since their last meeting. Patrick Hill is also grateful to grace Marvel Stadium with his Hawthorn players, admitting that he didn’t see a Grand Final berth coming so fast. Hawthorn has been one of the best offensive sides this year while Geelong has been one of the best defensive outfits, so if the game is played on the Hawks’ terms, it could be a fast-paced game. But if the game is played on the Cats’ terms, it could be a defensive, hard-fought slug which Geelong has been accustomed to this year. Either way, this will be a tight contest with both teams desperate to lift up the first ever VFLW premiership cup on Sunday. A do-or-die clash will take place at Stannards Stadium this weekend where one team will be hoping to secure its spot in the Grand Final. After the minor premiers stumbled against the Hawks last week, they will be keen to make amends on Sunday. 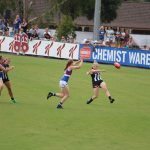 But the Cats come into this clash with the confidence that they can knock off another strong team, after they defeated the Thunder in week one of the Victorian Football League (VFL) Women’s finals. This should be a highly entertaining clash between two strong sides with stars all-round. The midfield duo of Richelle Cranston, and Olivia Purcell will seriously threaten the Magpies brigade after all three had stellar performances against NT last week. Cranston came away with 19 disposals and two goals while Purcell racked up the same amount of disposals and also got on the scoreboard. However, they will have to come up against an in-form Chloe Molloy, who is extremely damaging at her best. She kicked two of her side’s three goals in the first week of finals and has been a key player for the Pies all season. Her Collingwood AFL Women’s teammate, Sarah D’Arcy also comes into this game off some good form, being the Pies’ leading disposal-getter on the weekend with 20. She complemented that effort with six marks and five tackles. Nicole Hildebrand and Stacey Livingstone will be key bookends for the Pies and will have to contend with the likes of Mia-Rae Clifford up forward and Rebecca Goring down back for the Cats. Both were recently named in the VFL Women’s Team of the Year and would be keen to do some damage in their respective 50s. Geelong and Collingwood both have strong defences so expect a tight clash between two formidable sides who are hungry to make history. LADDER leader, Collingwood was given a big scare by the gallant Blues while Melbourne Uni just scraped over the line in a tight contest at Frankston. The Pies now have the NT Thunder on their heels, after they recorded a handy win over Richmond. The Thunder sit second on the ladder and will be keen to push the high-flying Pies in the coming rounds. After a close first quarter that saw the Seagulls and Western Bulldogs level, Williamstown was not able to keep that momentum after that. Instead the Bulldogs went bang in the second quarter, kicking four goals to none in a display of dominance. From then on, the away team was able to flex its muscles and come away with a comfortable 40-point win. Alyssa Mifsud performed well inside 50 for the Dogs, kicking three goals from her seven disposals. She was complemented by Greater Western Victoria (GWV) captain, Lauren Butler, who also kicked three majors for the day to go with her 13 disposals and four tackles. Sarah Jolly was a ball magnet as she racked up 23 disposals, seven marks and six tackles to go along with a nice goal. For Williamstown, Andrea Cameron was the shining light, recording 20 disposals and kicking a goal. The other goals came from Western Jets forward, Sharnie Whiting, Emily Paterno, Jorja Rowe and Chloe Portelli. Paterno in particular attacked the ball hard, laying seven tackles and accumulating 15 disposals. Darebin has returned to its winning ways, defeating Essendon by 27 points. The Falcons held the Bombers scoreless in the second half while managing to kick two goals themselves in a tight battle. Melbourne AFL Women’s ruck, Lauren Pearce starred in this match, kicking two of her side’s five goals, racking up 19 disposals and taking 10 marks. Eastern Ranges defender, Lauren Szigeti also racked up the possessions with 17 touches to go along with her four marks. Greater Western Sydney (GWS) star, Jessica Dal Pos also had a good day out with 17 disposals and eight tackles. Dal Pos’ AFL Women’s teammate, Maddy Collier was one of the Bombers’ most influential players on the day, racking up 21 disposals, four marks and six tackles. She was complemented by tackling machine, Hayley Bullas who recorded 19 touches. 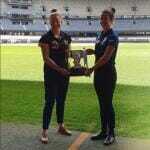 Monique DeMatteo and NT Under 18 representative, Danielle Ponter were Essendon’s goalkickers. 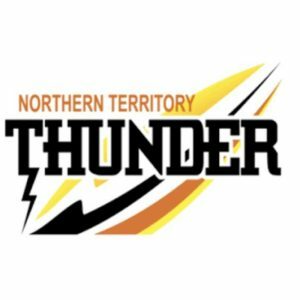 After an even first term which saw just two points separating the teams, Northern Territory (NT) Thunder was able take control of the contest. Richmond started the better out of the two, kicking the first three scoring shots of the game, with Courtney Wakefield kicking 1.2. Wakefield continued to cause headaches for NT in the second quarter, booting her team’s two majors for the term. After an Emma Swanson wonder goal from the boundary it left the visitors trailing by five points at half-time. NT owned the third quarter as Thunder piled on three goals to none and attempted to build a decent lead in a low-scoring match. The last quarter continued the Thunder dominance with another two goals piled on. Richmond was held goalless in the second half in superb defending by NT. Wakefield was one of Richmond’s best with three goals, while Phoebe Monahan was one of the Tigers’ best midfielders in a hard day against seasoned AFLW players. While there were many standouts for Northern Territory, highlighted by Ebony Marinoff in the midfield. Marinoff is a contested freak. She was helped out by the ruck dominance of Jasmyn Hewett. A six goals to two second half earned the Cats a convincing victory at Queens Park. Geelong maintained its lead at every quarter break and didn’t look like slowing down throughout the match, holding a two-point lead at quarter time and booted five goals to one over the next two quarters to lead by 28 points at the last change. A four goals to two final term resulted in Geelong running away with a 41-point win to continue its fantastic form. Up forward, Maddie Boyd and Kate Darby each kicked two majors. Maighan Fogas also chipped in with one goal and was the leading disposal-getter with 25 disposals as well as six tackles. Rebecca Goring also performed well with 18 disposals and seven marks. Casey Sherriff played a wonderful game for the Demons with 14 of her 15 disposals being kicks. She also led the way for marks with nine and laid nine tackles. Consistent performers, Madelaine Shevlin and Katherine Smith also racked up 15 apiece while Kaila Bentvelzen kicked two majors. Collingwood survived a scare from arch rivals Carlton to remain unbeaten, following a 17-point win over the Blues at RAMS Arena in Craigieburn. With the famous RAMS breeze blowing from the Grand Boulevard end, it meant nearly all the goals were kicked up the other end. In fact, Stacey Livingstone can hold claim to the only player to kick majors into the wind, booting two in the space of a couple of minutes, which were vital in the end. Carlton led by eight points at quarter time, but found themselves trailing at the half by five. It could have been a lot worse given the Magpies had eight scoring shots, but converted just the one goal, as the ball was trapped inside their forward half for the majority of the 20 minutes. 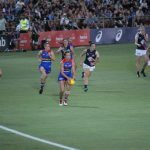 Carlton nudged ahead with three goals to two in the third quarter, was Kristi Harvey and Livingstone both booted two, while young Blues star Tyla Hanks converted a tight-angled set shot from the boundary. The final term saw the Magpies predictably run away with it courtesy of the breeze and Sophie Alexander booted two majors and ensured the Magpies returned to the top of the table. Harvey was a star at both ends, camping up the end with the breeze, converting when in attack and rebounding when in defence. Sarah Hosking was her usual dominant self around the stoppages and probably the best midfielder on the ground. Tilly Lucas-Rodd was also impressive, while Hanks and fellow TAC Cup Girls’ captain Madeline Brancatisano also showed glimpses of what they are capable of, as did Mika Sukuzi who came in as the 23rd player and showed good hardness at the ball. 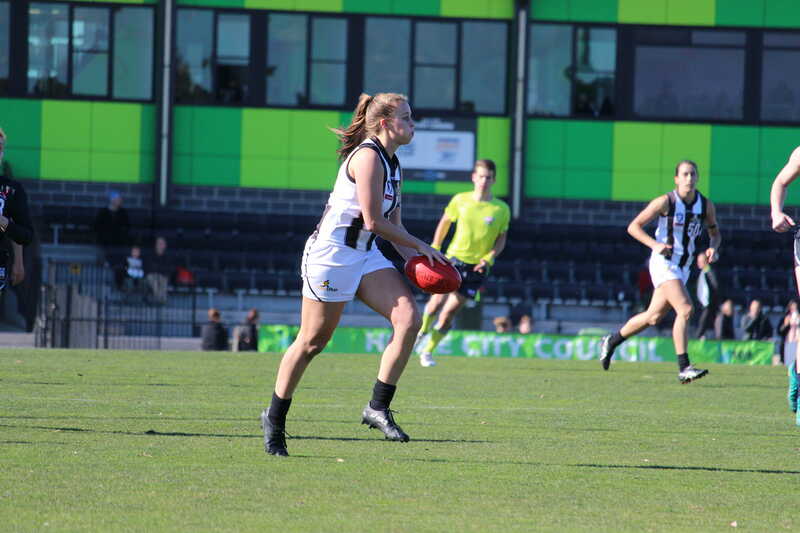 The Magpies did not have a standout, rather having many contributors in the win, as Alexander and Livingstone both booted two majors, while Iilish Ross was impressive with her run and carry out of midfield into attack. Brittany Bonnici‘s attack on the football from half-back, and Nicole Hales‘ work in defence was also admirable. Ruby Schleicher used the ball well by foot in tough conditions, while Emma Grant, Chloe Molloy and Sarah D’Arcy worked hard through midfield. 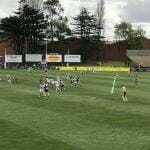 In a thrilling contest that was never quite over until the final siren, Melbourne University toppled the Southern Saints in chilly conditions at Skybus Stadium in Frankston. The game brought plenty of AFL Women’s recruiters to Frankston, with some of this year’s top prospects battling away for their VFL Women’s sides. Melbourne Uni had all the ascendancy in the first term, booting the only two goals of the quarter, including a pin-point curling on-the-run goal from Calder Cannons star Madison Prespakis who set the tone for the match, right after fellow TAC Cup Girls player Caitlin Greiser had got on the board early. The second term was a tight affair, with both sides slotting a goal and competing relatively well with the blustery conditions. A two goals to one third term gave the Mugars a three-goal advantage heading into the final term and looked to have done enough. But when Ashleigh Allsopp and Tara Bohanna slotted goals, the deficit was less than a kick. Bohanna would have been kicking herself, missing two more gettable chances, as the Mugars’ Imogen Milford made them pay with the visitors only score of the final term – a goal. Bohanna kicked a major in the dying minutes, but great work from Melbourne Uni to hold up play in the final minute and ensure a narrow three-point win. There was some controversy at the end with young gun Courtney Jones going down with an injury in the final seconds of the game and the umpire called time off, but the siren sounded a few seconds later. With reportedly five seconds left on the clock, it mattered little what could have happened and all concern from both teams was with Jones’ injury which eventually saw her limp from the field a promising sign from first glance. Prespakis was the clear standout once against for the Mugars, finding the ball everywhere and copping knocks left, right and centre and just getting straight back up again. Asha Price was impressive up forward, constantly leading for the football, while the likes of Elizabeth Keaney and Hannah Ibrahim were also named in the best. Captain Ashleigh Riddell lead from the front, while Sophie Abbatangelo and Elyce Hay were also good around the ground. For the Saints, Rhiannon Watt was massive in the ruck and around the ground, while Bohanna, Kayla Ripari and Gabriella De Angelis formed a dynamic trio up forward, all offering something different to the Saints’ set-up. Eleanor Brown was ultra-impressive with her ability to read the play and chop off a number of passes directed inboard by her opposition. Jones was also good in transition, while Jemma Owen stepped up around the contest and put her body on the line on a number of occasions. WITH the end of the season nearing and ladder positions becoming increasingly important, all clubs will be looking to secure another win. The Magpies have continued their impressive ways, yet to drop a game this season and have a well-earned rest, while the Falcons will be looking to bounce back and redeem their Victorian Football League (VFL) Women’s campaign. After suffering a big loss in the previous round, Darebin will be hoping to join the winners list. The Falcons struggled to hit the scoreboard, only slotting two goals for the game and will be wanting their stars such as Elise O’Dea, Nat Exon and Meghan McDonald to stand up for them once again. They were influential across the ground, applying plenty of pressure and racking up a number of touches. But Darebin will need more of a team performance to bring down the Thunder, who have been firing on all cylinders. With six wins under their belt, the Thunder will be wanting to secure their spot in the top four with another dominant performance. In round nine’s outing, Jessica Sedunary wreaked havoc up forward with four goals between them and will be aiming to bring that same accuracy and intensity. The likes of Emma Swanson and Jasmyn Hewett were also influential for NT, making for a very hotly contested battle across the ground. Both Geelong and the Southern Saints have had an up and down season so far and will be fighting hard to get some consistency. After a disappointing loss in round nine, the Cats will want to put out an impressive four quarter performance. Geelong will be relying on Richelle Cranston’s ability to go in hard and win the contested footy, while Rebecca Goring has also been in hot form in recent weeks. The Southern Saints are coming off a loss, but have shown some good signs over the past dew rounds. 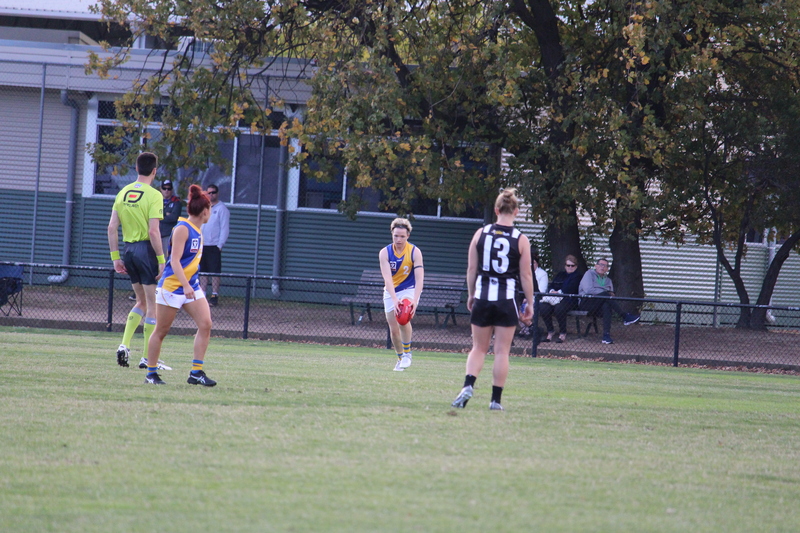 The likes of young gun Ashleigh Allsopp impressed, while experienced player Lauren Arnell found plenty of the footy. The Blues have struggled this season, only managing two wins, but a victory over Williamstown could help to keep them off the bottom of the ladder. A shining light for the side has been Darcy Vescio, who is sitting third in the leading goal kickers. Vescio has been running hot since returning, scoring nine goals in four games and will be hoping to continue her impressive form. Her teammates such as Kristi Harvey and Katelyn Cox have also been instrumental and will play a major role in trying to secure Carlton’s third win of the year. On the other hand, the Seagulls will want to prove themselves after coming off four straight losses. Experienced players such as Jess Duffin and Jenna Bruton will need to stand up once again if the Seagulls are any chance to secure their second win. Essendon will be going into this round 10 match up with their tails up after securing their first win of the season. But the Western Bulldogs will be looking to dampen Essendon’s season and increase their chances of playing in the finals. Currently, the Bombers have only managed one win for the season and with the Dogs coming off an impressive win, they could be in for some more hardship. The Bulldogs have plenty of star players such as Ellie Blackburn and Naomi Ferres who can really open the game up and provide some good run and carry, which will make it hard for the Bombers. For the Dons, they will be wanting to wriggle off the bottom of the table and claim another big scalp. Monique Dematteo starred last week bagging two goals while Maddy Collier impressed with her tackling pressure and kicking efficiency, and will be hoping to keep that form going. Hawthorn is in hot form, sitting pretty in second position on the ladder and will be looking to make it five straight wins on Sunday. The Hawks have been in ominous form with the likes of Rebecca Beeson and Jayde Van Dyk firing. Their cleanliness around the contest and ability to hit up a target has been important for the brown and gold and they will be looking to maintain that form. Meanwhile for Melbourne Uni, youngster Caitlin Greiser has stood out, slotting three goals and proving how damaging she can be up forward. Teammates such as Kaitlyn Ashmore and Emma Kearney have also been influential and will be looking to make an impact on the contest against the Hawks. With neither side officially out of finals contention, it will make for a hotly contested match with the Tigers sitting eighth on the ladder and the Demons ninth. After a disappointing start to the season, the Casey Demons have found some recent form, winning their past two games and will be looking to extend their winning streak against the Tigers. The Demons showed some good grit last week to hang on with the likes of Holly Bailey starring in her first game and Taryn Orgill at her damaging best. On the other hand, Richmond is coming off a narrow loss and will be looking to bounce back. 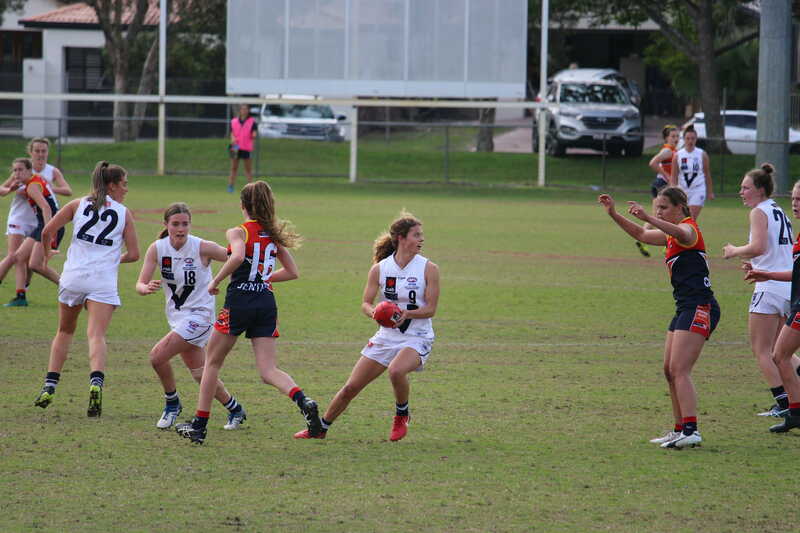 Youngster, Sophie Damon left a lasting impression last week, named amongst the best and scoring a major, while the likes of Lauren Tesoriero also stood tall, winning plenty of the footy. Jessica Kennedy and Evelyn Burry will also be influential in shaping the outcome of Sunday’s game.